Plans to demolish the Divisadero Touchless Carwash and Roy’s Shell station on the northeast corner of Divisadero and Oak and construct a six-story development with 177 apartments over 8,000 square feet of retail space and a stacked garage for 75 cars have been redesigned by WDG Architecture (versus SCB) for the Genesis Real Estate Group. 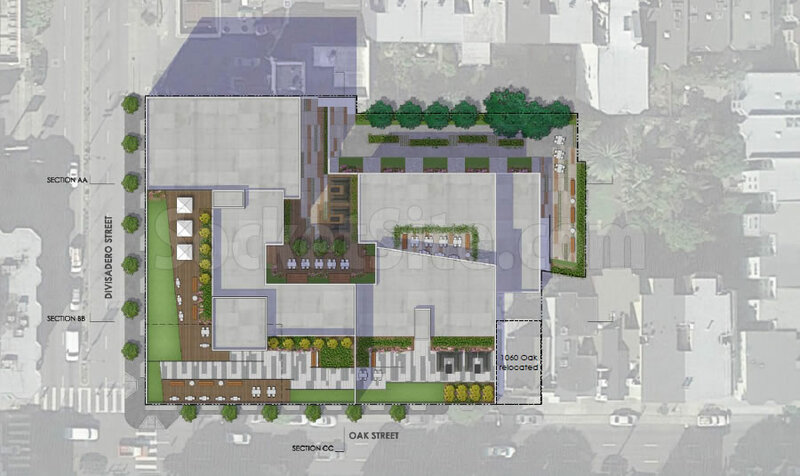 And the formal application to move forward with the development of 400 Divisadero has just been submitted to Planning. 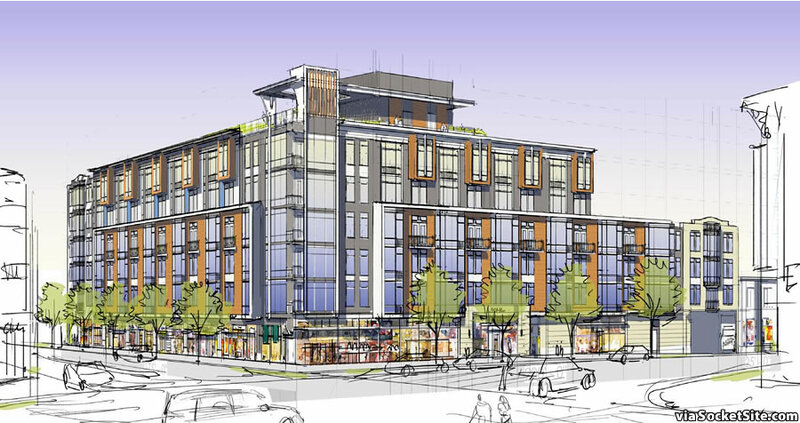 In addition to leveling the corner Shell station and car wash, the proposed development includes razing the existing residential buildings at 1048-1052 Oak and moving the two-story Victorian at 1060 Oak Street fifty feet to the east in order to provide more room for the project which would rise up to 65 feet in height with a 4,800-square-foot courtyard behind the building, 4,400 square feet of terrace on the second floor and over 11,000 square feet of deck space across its roofs. The revised unit mix includes 80 studios, 24 one-bedrooms and 73 twos. And as proposed, the project’s affordable housing quotient of below market rate units will be provided on-site. We’ll keep you posted and plugged-in. To the commenter who complained about the “wall effect” on Market St. regarding the infill hotel project…I’m patiently waiting for your take on this monstrosity that’s going to take up a huge chunk of the block. Save the Car Washes! Say No to the Mountain Range on Divisadero! We need more gas stations! There…I have provided the slogans for the signs and shouting at the Board of Supes. In keeping with the neighborhood, the project should be a mix of buildings for this site instead of one, large, but flat building. A couple of the buildings could incorporate height above 6 stories without being distracting, especially if the height is set back from the street. But, as always, there would be opposition because in SF there’s opposition to everything. 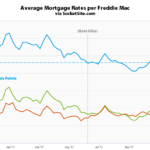 Glad to see another gas station fall and more housing rise. I want to see solar panels on this place, though. That should be mandatory on all new construction. Really excited about this. 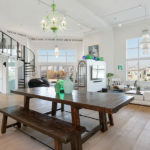 In five years, with this project, the Alouis Radiator project and the current pace of new storefronts opening, Divis will become a legit destination. I count *six* places I see as opening in Q1 2018 alone: including Emporium SF (Harding Theater conversion to bar/arcade) and Che Fico (Auto garage conversion into Italian restaurant). This one is particularly important because Fell and Oak’s wide streets, traffic, and gas stations stop many pedestrians from crossing from one side of Divis to the other. This will bring more continuity to the corridor. …and where will we get gas when all the gas stations are gone? I like my car & my garage much more than muni which is often disgusting, slow & a sh*t-show that I’ve no interest viewing at the start/end of the day, 10yrs of it was plenty. Now if everyone actually paid that would go along way to stop the behavior which makes it the main reason to avoid the buses in SF. If there is truly a market demand for gasoline sales in the City, someone will provide it. Are you asking for special zoning (let’s call it future toxic remediation site (FTRS-1) zoning )? Perhaps eminent domain to Save the Motor Age in San Francisco? If not, then what exactly is your solution or your point? Someone may not provide it. Opening a new gas station on a virgin site is nearly impossible due to environmental regulations so the ones we’ve got are all we’ll likely ever have and those are slowly disappearing. Eventually, if you are in the minority whose car isn’t electric, you’ll be ordering gasoline from Amazon and have it delivered. It’ll be beautiful. I love old cars, but I love the air we breathe and this planet even more. I use a car to drive from SF to distant places–1000 miles trips I often do without stopping overnight. I will never be able to buy an electric car until they have the range of internal combustion engines. On the other hand, I almost never drive within the city. That’s a huge lot! I had no idea the center of the block was so empty. I’ve lived in the neighborhood for 23 years. And I’m a customer of the car wash, which offers an excellent service. But the value of that service to the neighborhood and city is far outweighed by the need for more housing. So I say: Bring it! As for applying the word “monstrosity” to this proposal, as one commenter does, it’s no more a monstrosity than the seven-story rental building I live in on a corner of Alamo Square Park or the other seven- and eight-story rental buildings across from the park and in the neighborhood. The only real difference is that my building and the others were built before WWII. 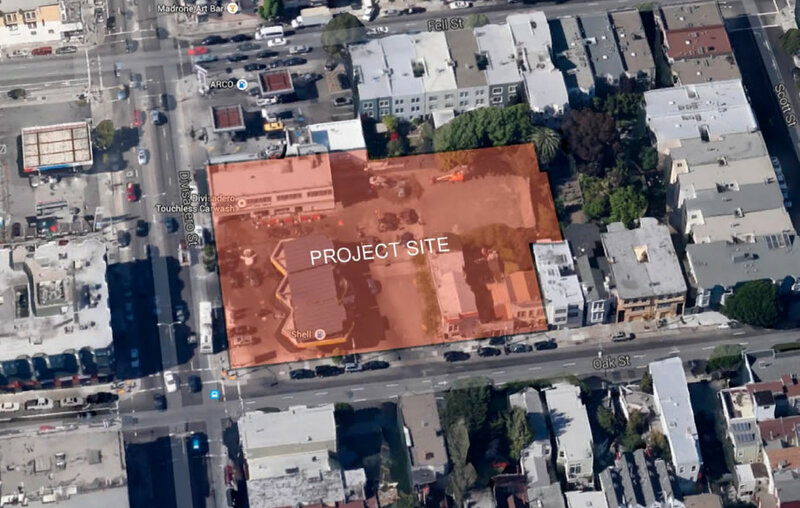 The proposed building is on a site bracketed by two major arterials in the city, Oak and Divisadero. If this is not an appropriate place for a seven-story residential building in a neighborhood where these already exist and in a city starved for housing, we’re doomed. I repeat: Bring it! Except that those buildings are tall, narrow, and elegant. This is squat and monotonous, Mission Bay meets Alamo Square. They couldn’t come up with anything better? I just don’t see why Mission Bay is considered the bete noir by some here. Sure, it can be monolithic, but compared to 90% of the housing and mixed use development in the Bay Area at those density levels…..? And compare it to the modern, arterial and cul de sac street pattern, gated and walled and xeriscaped suburban dreamscapes built at higher and higher densities? This building may be massive and squat, but it shows more variation and color than most modern structures. Certainly better than almost anything built during the 1950s-1990s. If Best Buy is now the defacto standard for architecture in San Francisco, than this building definitely meets that bar. When compared to a 1972 K-Mart in a working class suburban strip, then yes, yes it does. Look around at a lot of the stuff built in SF during the 1950s-1980s. THAT is the low bar we are talking about. Of course Mission Bay isn’t the worst. But I think it’s frustrating when we have examples of density done right, right here in the city. Why not emulate that? If they could only also incorporate the Arco in this project then it would be perfect. I have no issues with the height as proposed, and disagree that taller is appropriate here, but I HATE the monolithic aspect of this building and agree that it should be broken up into multiple properties with unique designs. SF’s residential neighborhoods are characterized by taller, narrow sites and even the corner apartment buildings are not this type of wide-body design. Despite the strong need for housing, we’ve got to also maintain the long-view on the architectural development of this city. Simply packing in as much housing as possible might be a timely response to current needs but sets us on a path to mediocrity in urban character. I live in a beautiful 904 unit, 76 floor building with a public school and plaza built into its base (New York by Ghery). The size of the lot is not that much larger than this one (probably close to the same if you combined both gas stations). With current SF inclusionary laws, building a similar sized building would create 181 affordable housing units on site or 298 elsewhere. I’m not saying SF should build a Ghery Building replica on this site, but it seems like SF is more interested in preserving its character than building affordable housing. The real estate prices and financing mechanism are all in place to provide affordable housing on a large scale. So why doesn’t SF do it? This is why I view the lack of affordable housing as a political issue, and NIMBYs as doing the same as redlining. The NIMBYs fighting against this project are literally choosing a gas station over affordable housing which disproportionately benefits lower income families and people of color. How different are NIMBYs than the white supremacists at Charelottesville? You kind of had me until the last sentence. Does anybody know the approximate date that the gas station and car wash will close?